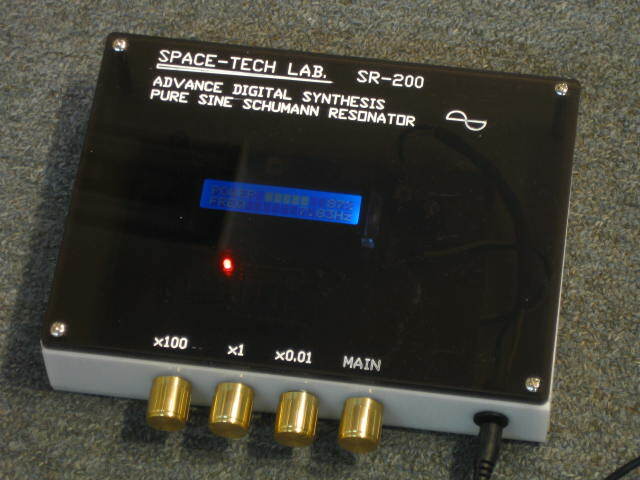 This is our new design series of SCHUMANN RESONATOR , with special features of variable frequency and variable output power, as well as crystal locked super high speed high precision frequency readout (in SR-200 and SR-300 , 0.01Hz resolution with 10 updates per second ) . According to most advanced researchers finding, this device can suppress / shield / cancel the bad effect of those RF/EMF interference generated by GPS/cellphone/TV/wireless routers.....etc, after shield out those interferences, our brain will function in a more proper way, which makes our perception of sound become normal again, and we can hear way more details , better soundstage and much wider frequency range without the need to change a bit of the room acoustic or system. This unit suppose can boost the immue system of the body and achieve certain self-healing effect, most obvious is better sleeping due to improved body condition and perfection the nerve system, boost blood circulations..etc. We have research a list of different resonance frequency which can enhance different area of our body functions. It looks like no other manufacturers in the industry can offer the same level of features, signal quality and performance as ours, but you will even need to pay 4x to 5x more for those handicapped products. 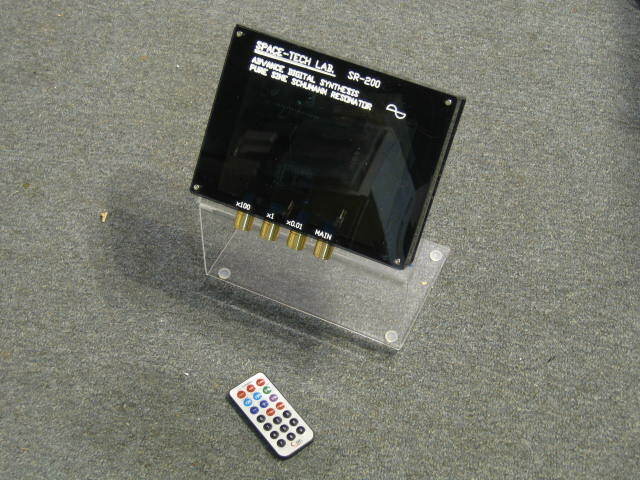 Full function mini-remote control for 7 different frequency mode selection, 5 output levels and on/off fucntion, control distance around 8 meters . 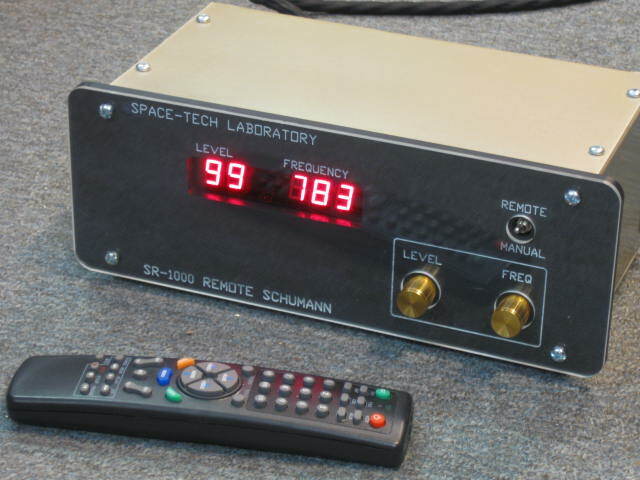 (SR-200 ) This is a version with enhanced dual processor, which can vary from 0.01Hz to 9999.99Hz with 0.01Hz resolution (0.01% THD). 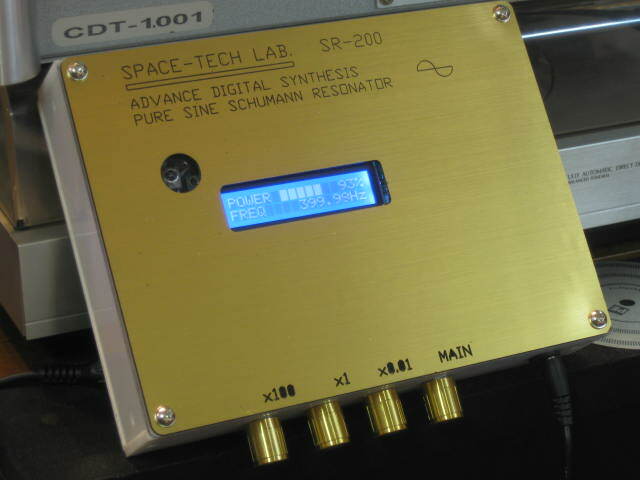 (SR-300 ) This is a super enhanced version over the powerful SR-200, which can vary from 0.01Hz to 999999.99Hz with 0.01Hz step (0.01% THD). Super low distortion output available for possible of unlimited output power upgrade. 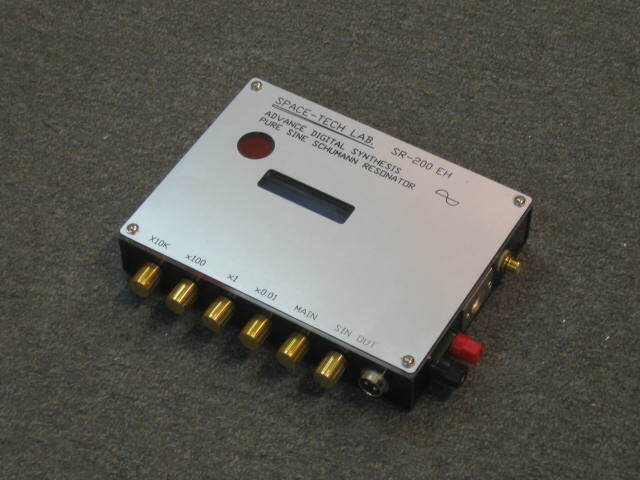 This is a world class instrumental grade of high precision equipment design to use in the audiophile world. Al, I would say the resonator improves the most important elements of the sound; sound stage, the highs are very extended, the sound is holistic and the bass is tighter. Over all the sound improvement is almost 50% for me. I tried it while listening through my main system last night . I used 7.83Hz with 80% power, and heard a subtle but definite improvement in the sound produced. I didn't notice any change in tonal balance, but the sound-stage opened up, while images within the stage became more holographic. That's awesome! 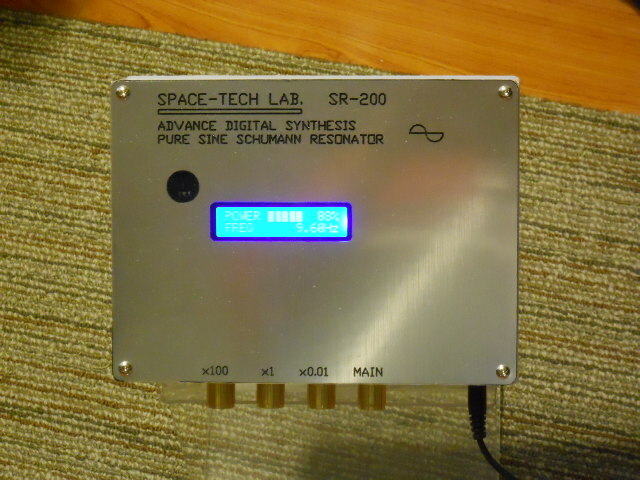 The whole listening experience was very enjoyable; the SR-200 is definitely a worthwhile investment! 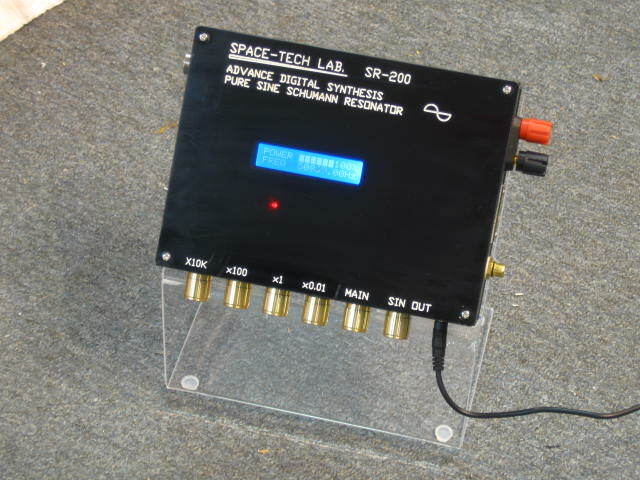 Unlike most of the mass market products, we use organic pure sine wave as resonance frequency instead of square wave (much cheaper to build with square / Triangle wave but come along lots of bad side effect) , which we found out the sonic improvement will be much bigger , as well as no irriational effects to those experience headache from square / Triangle wave products.